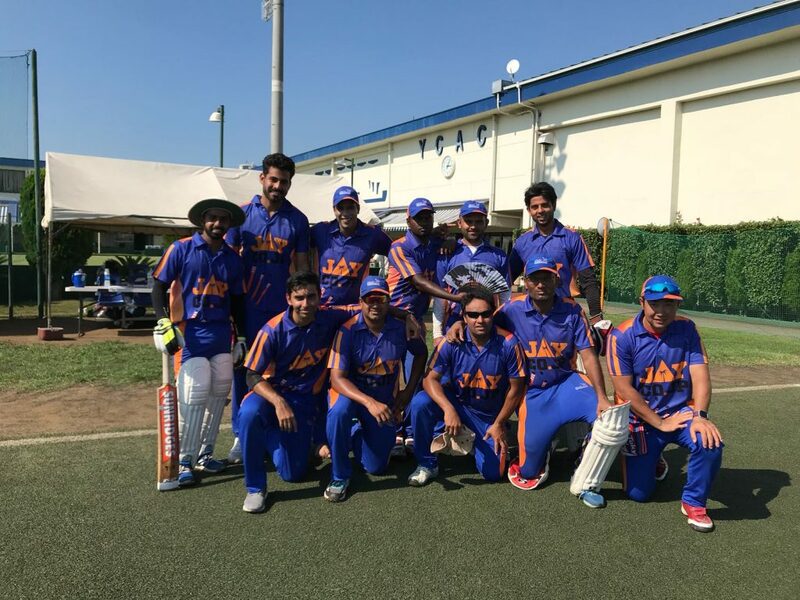 With the first Japan Cup game against the Tigers washed out Engineers found themselves in a desperate position to win this game if they were to make it to the finals for the 2nd season in a row before taking on Aoyama Gakuin and the British Embassy. So the Engineers packed a full strength side hoping to see a full Wombats side too. As docile the real wombats are, the Tokyo Wombats also turned out to be no different. The 7 member Wombats had the 7th player, veteran Wombie M. Payne, father of their current Wombat, Jamie Payne. Senior Wombat was 68 years young and probably the oldest Wombat to take the field. Any thoughts Robert-Gilles Martineau? The Engineers have a kind heart (of course they do!) and felt for these 7 Aussies so it was mutually decided to have a fair game and give the Wombats the first go at the game. The toss took place with a counter. Wombats won it and chose to bat first. They would have batted first even if they had lost the toss. We offered them to take a few YCAC players if required for feilding too. Skipper and your writer for the day, Vinay, was happy to field first as it gave us the chance for our new comers to get a feel of the YCAC Ground. We had 3 debutantes, Shreyas N., Vishnu Shekawat & Ajitesh Koushal playing their first Japan Cup game. Vinay decided to open the bowling with Vishnu from the pavilion end and veteran Anurag from the far end. Anurag had delayed his Saturday Flight to Singapore to Sunday midnight, Thanks Anu for making it 🙂 Both provided a quite start. A few wides here and there by Vishnu but these Wombies looked they had a plan to play off 20 overs as they we not looking to score runs. Vishnu in his 2nd over got the break through when he bowled the opener out. After 6 overs the score was just 18. Skipper’s plan was to try out all his bowlers in a pair of 2 overs each. So the next pair Raman and Ashok was introduced. Their 2 overs didn’t trouble the batsmen much. Wombats were 38/1 after 10 overs. Vinay bought in the other 2 debutantes, Shreyas N, the Left Arm spinner and Ajitesh a medium pacer. Both did a fantastic Job, drying up the score, troubling the batsman, tempting them to go after their bowling, which created a lot of chances. Finally, Ajitesh broke through. He got Jamie Payne, the ever-slow Batsman who was defending all the balls all the time for 6 overs without scoring. The batsman finally decided enough is enough and played a shot but straight in to the hands of Raman at square leg. Ajitesh cleaned up the next batsman in the very next ball with yorker. With a hattrick chance, skipper continued with him as well as Shreyas who had been troubling the batsmen. Ajitesh got his 3rd scalp soon, then the 4th in his 4th over. He completed his spell of 4 overs with a 3 for. The score reading at 68/4, Vinay then decided to change to Manu and Pavethy with one over each. Pavethy got the wicket of the Wombats captain who looked dangerous with 3 boundaries and a six. The final over was handed over to Anurag, but it was a different Anurag, bowling to a 68-year-old Veteran Mr. Payne Senior, so it was his sportsman spirit which he showed at the end making the veteran see off the balls though without scoring but becoming the oldest guy may be to stand not out on the YCAC field. The innings ended with a joy on the faces of both the teams. Engineers then opened their innings with debutantes Shreyas and Ajitesh. Engineers offered their 12th man, Nikunj Pandya, to the Wombats to make it 8 for them on the field. The Wombats field setting was exceptional, not eve seen in Test cricket 🙂 6 slips straight away with no fielders in front of the batsmen. Shreyas was quick to launch the very first ball over mid-on to get a couple of runs. The fielders dispersed in no time back to normal positions and the game began as normal. Ajitesh and Shreyas were in no mercy mood, they went over their bowling attack with an open field. The score looked like this – 1st over 10 runs, 2nd overs 23 runs, 3rd over 35, 4th overs 48. 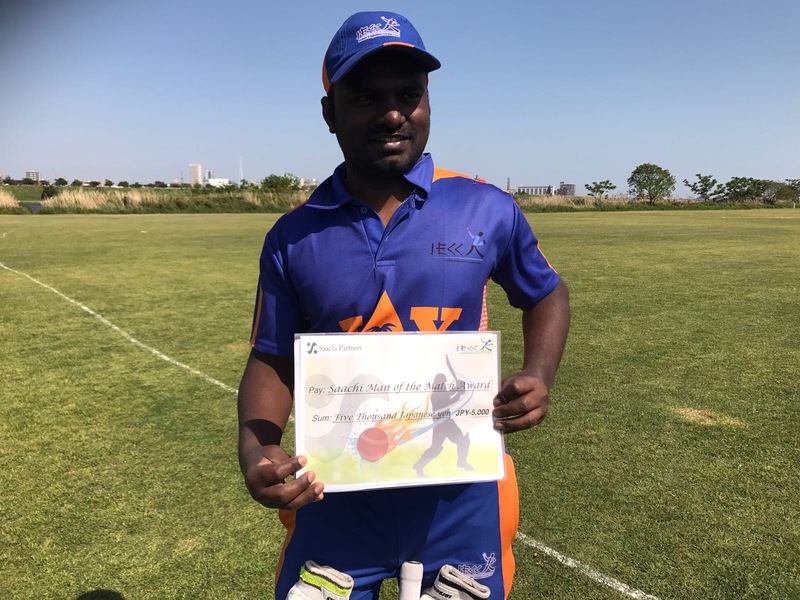 Wombats got their 1st break through when Ajitesh (24) trying to clear the in-field but only managed to find the Engineers 12th man fielding for them at point – the catch was a blinder. This bought in the Prashant Kale, who we expected to finish the stuff off with his fluent style and he didn’t disappoint in the 1st ball he faced which he launched for a six. It seemed that it is only a matter of time before the game is wrapped up but he fell prey to a J.Payne’s tempting loopy flighted delivery which Kale played straight to mid-on. With the score at 55/2, came the skipper, Vinay, the ever-cool captain knowing his Job. Ticking 1’s and 2’s he gave Shreyas the control as the barsman was going after them from ball number one. 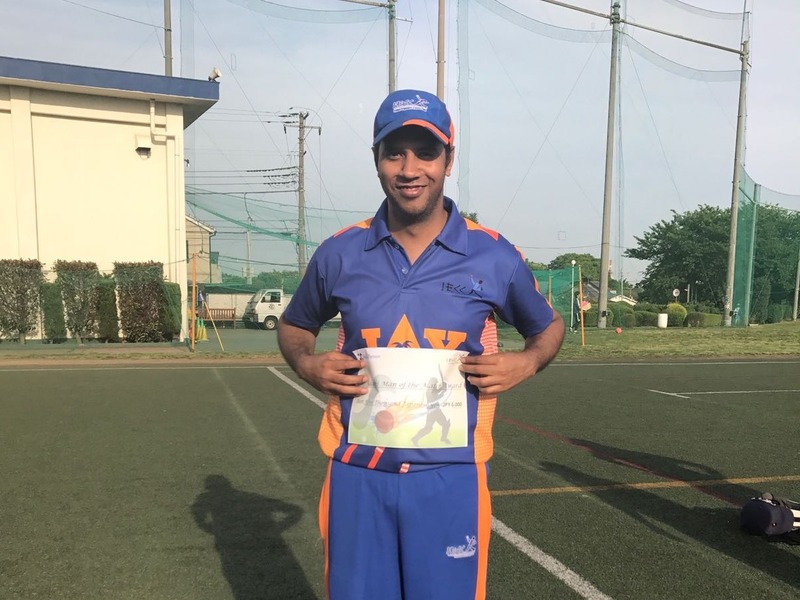 With just 8 required Shreyas (29) fell to Payne and in came the japan national team captain Amigo. Vinay (17*). Amigo struck two boundaries to complete the proceedings and Engineers won this crucial encounter by 7 wickets. 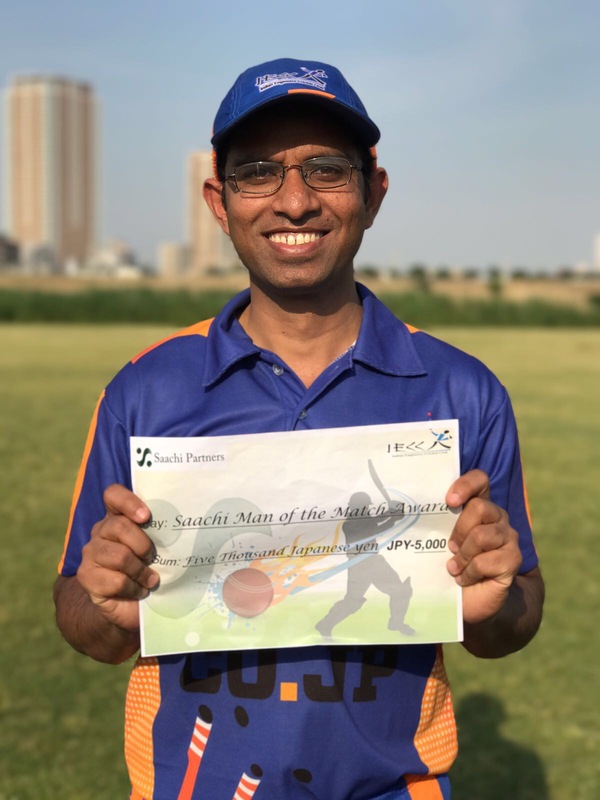 Ajitesh, with 3 wickets and 24 runs was chosen as the Saachi Man of the Match and also earned the MoM for the Aussie wine. The Wine and Beer Party continued at the YCAC sports bar, all thanks to Ashok bhai :-)). 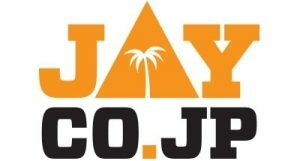 Thanks for Joining us here, please wait until the next IECC Encounter which is a Japan Cup Double Header at Sano against AGCC & BECC. Until then this your captain signing off for the day!!! !